First you need some batter, get a ladle, a flat spatula and a big bowl (see picture) pyrex is good as you can see what you are doing and it bounces well, if you drop it. 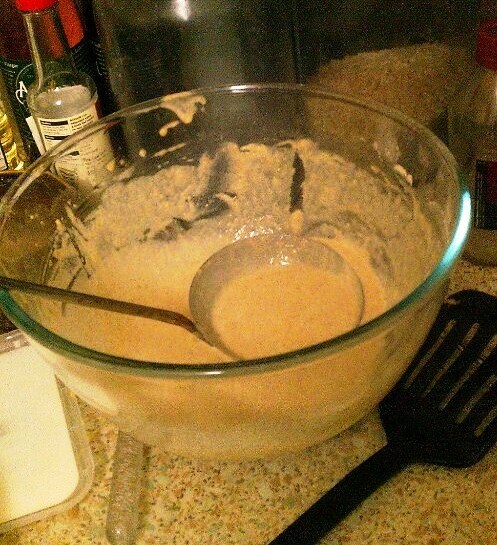 (Making pancakes can be a tad messy.) 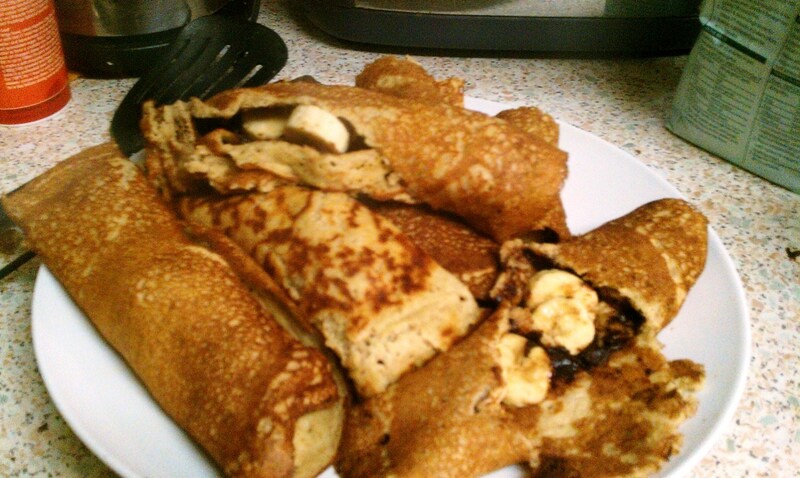 I’m usually covered in flour, batter or filling after it, I get into a right disarray when I cook but I love it. 3. When one side is cooked, flip over and cook the other side. ( the bubbles are important and make sure the oil is bloody hot – though not quite smoking) If you flip too soon – it will fall apart!! 3. After you’ve flipped it over it should roughly look like this. Look at all those holes! 4. Put the pancakes in the oven in foil (about 200C/390F to keep them warm, while you melt the chocolate (I like vegan mint chocolate – use the bain-marie method for melting the chocolate (boil some water in a biggish pan and put a pyrex bowl inside the pan (be careful so not to push the water out – do this with cold water first to get the correct amount) or use the two pan method. 5. 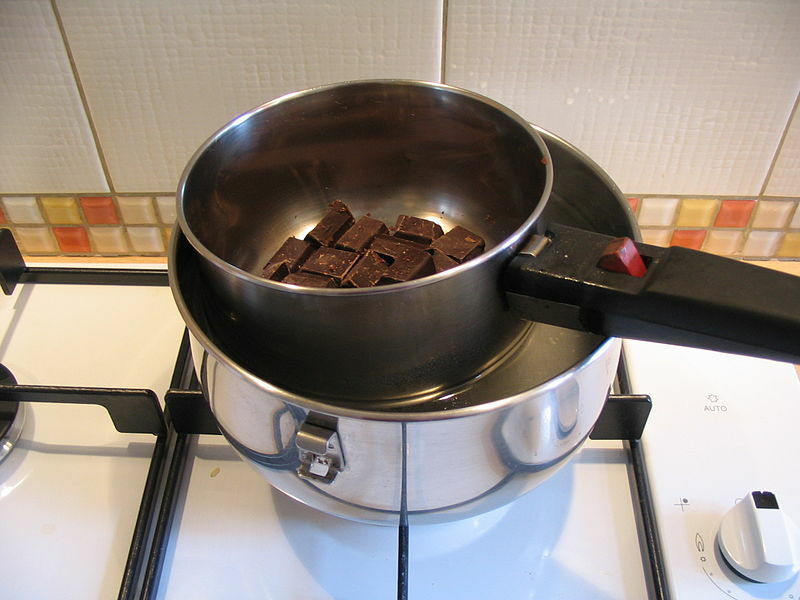 Melt the chocolate slowly over a low heat. 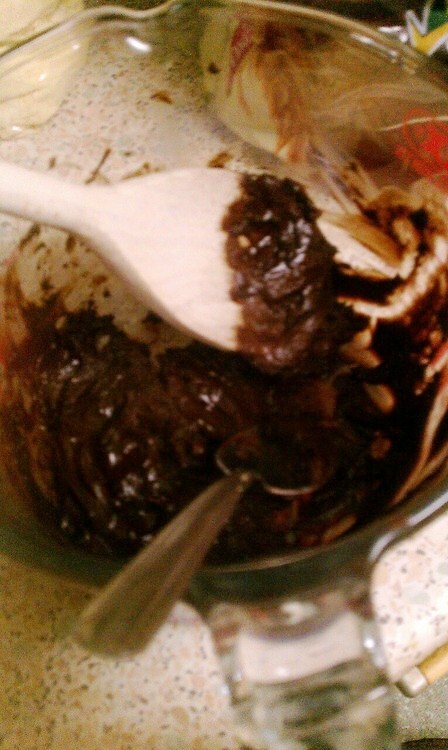 Be careful not to get any water in the chocolate.Then once melted carefully take out of water. 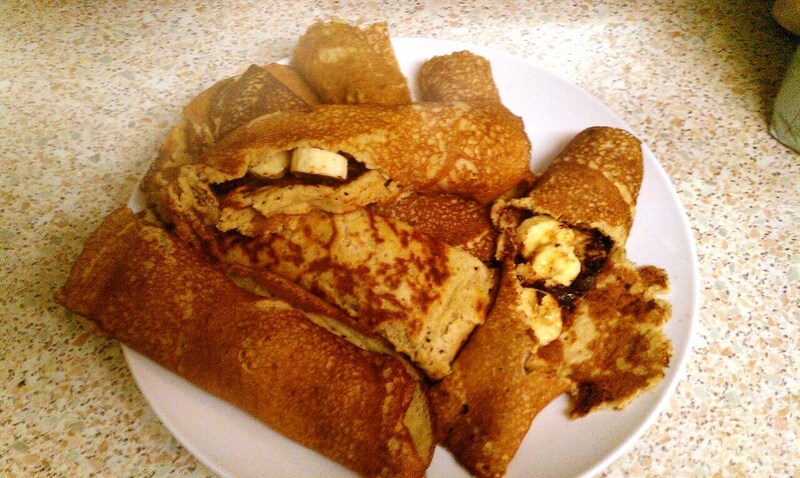 (Use oven gloves or a tea towel) Spoon melted chocolate into the pancakes, with some lemon juice and chopped or mashed bananas. 6. 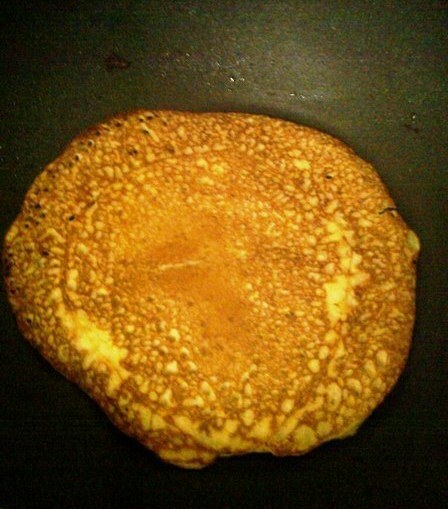 Roll the pancakes and serve immediately as they cool quickly. They taste lovely hot or cold. 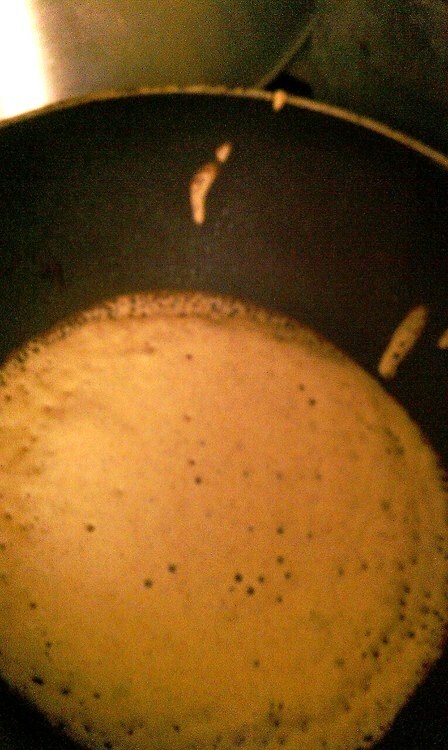 I don’t make dainty little pancakes. I’ll leave that up to others. Thanks Gina. One of my staples over the years.